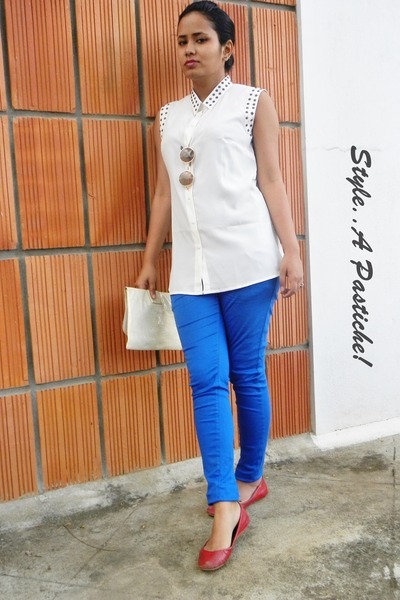 Here’s how you can wear it as for a Sunny Day Look! Pair it with an Electric Blue Skinny Trousers, throw in a Vintage looking Round Framed Glasses or as I call it the ‘John Lennon’ Sun Glasses, with a Clutch and a pair of Red Mojri’s. You are all set for an afternoon out with Friends :)!